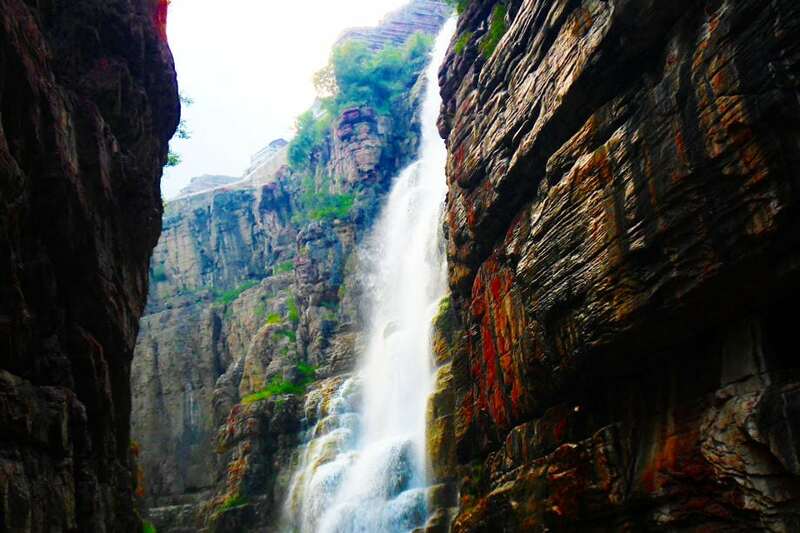 In this article you’ll find a review of the most popular natural reserve of Henan province, the Yuntai mountain. 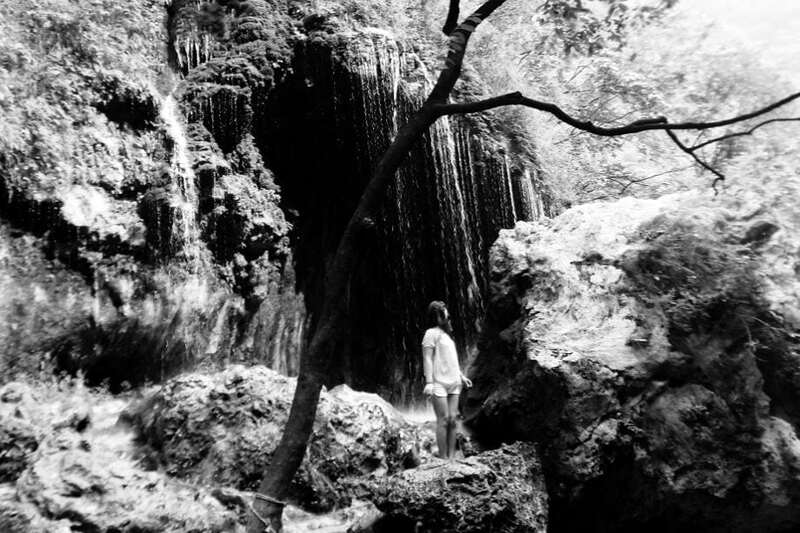 You’ll also find a lot of pics and all the info you need to know for visiting this place. Enjoy! 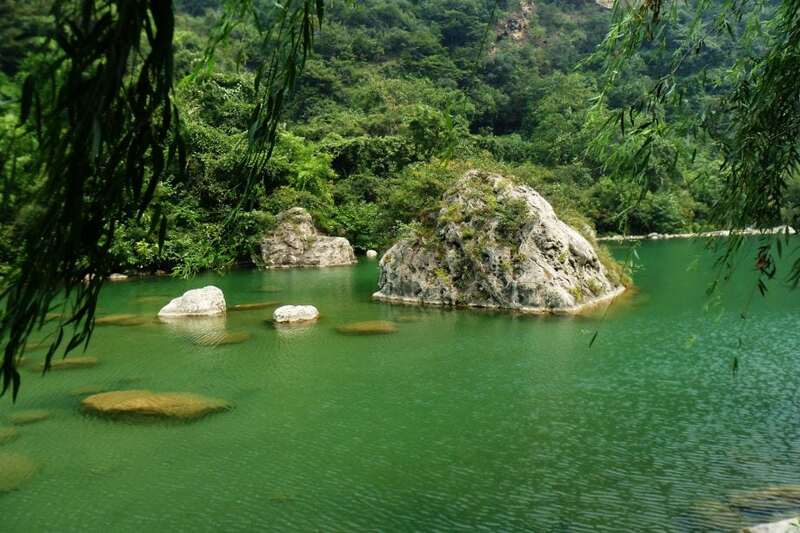 The Yuntai mountain (云台山) is located in the Xiuwu county (修武) that belongs to the Jiaozuo’s (焦作) metropolitan area. 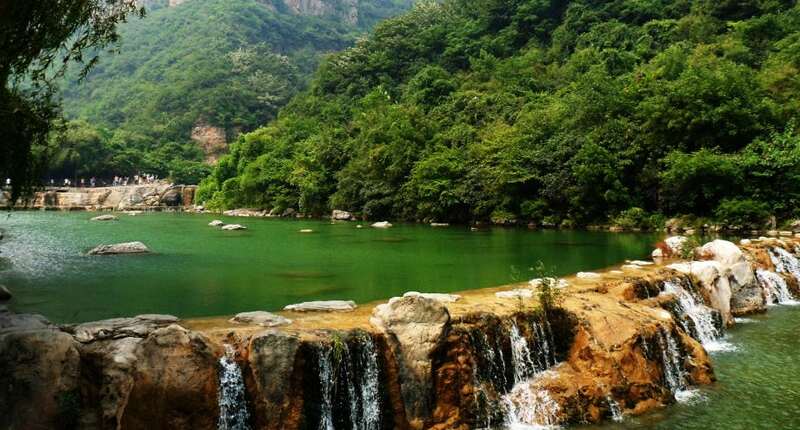 This mountain is a natural reserve of 240 square kilometers that ranks as a AAAAA scenic area, the highest rank awarded by the China National Tourism Administration. For this reason, the mountain attracts a huge amount of tourists every year. 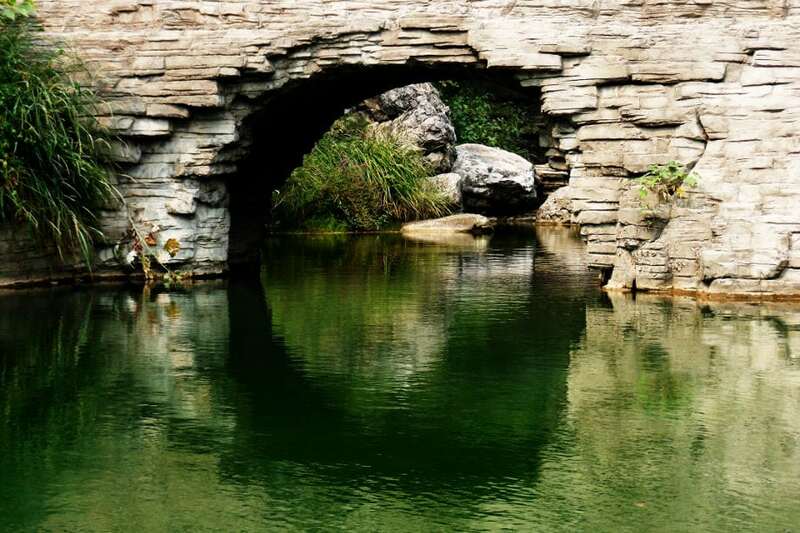 Even if the natural environment has been a bit “disturbed” by the Chinese concept of preservation, the park is still worth a visit if you’re traveling around Henan province. The easiest way to get there is by taxi from the city of Jiaozuo (the ride should cost around 70-80 Yuan). Notice that it’s quite common to share the taxi to go back to the city center. If you are coming from Zhengzhou, go to the Railway Station and take the train that reaches Jiaozuo (Operating Hours: 06:00-18: 00, every 10-30 minutes, tickets: 15 Yuan). You can also take the train from Luoyang but they aren’t frequent. Jiaozuo: From the Jiaozuo Tourism Bus Terminal (焦作旅游客运总站) there’re regular buses every hour (it may vary according to the season) from 7 a.m. to 4 p.m. 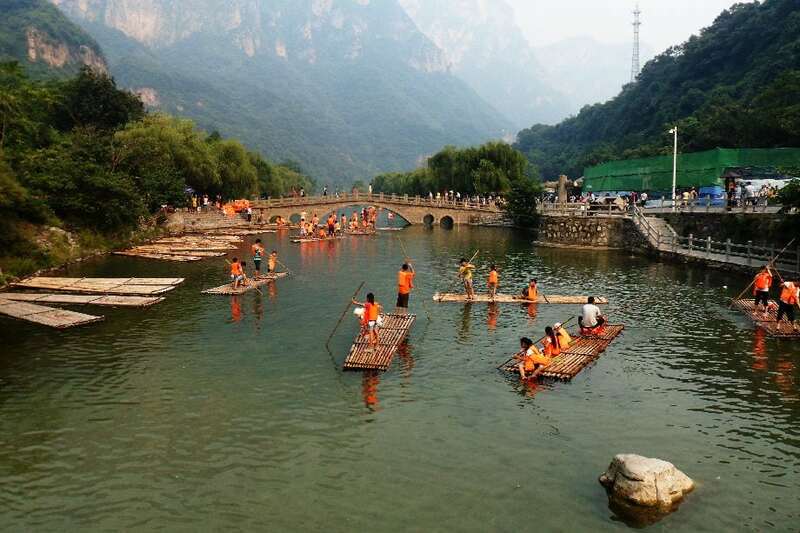 The trip takes 50 minutes and the ticket costs 10 Yuan. Also, there’re four daily buses from the train station; they depart at 06:20 a.m., 07:20 a.m., 3:20 p.m. and 3:50 p.m.
Luoyang: From the Luoyang Main Bus Station (洛阳市锦远汽车站) there is a daily bus that departs at 9:20 a.m. and go back at 3:00 p.m. The tickets cost 45 Yuan. Zhengzhou: From the New North Bus Station of Zhengzhou (郑州长途汽车新北站) there’re buses that depart every hour (starting from 8 a.m.). This new line was supposed to be open by march 2014, but I’m not 100% sure as the information available is still quite confusing. 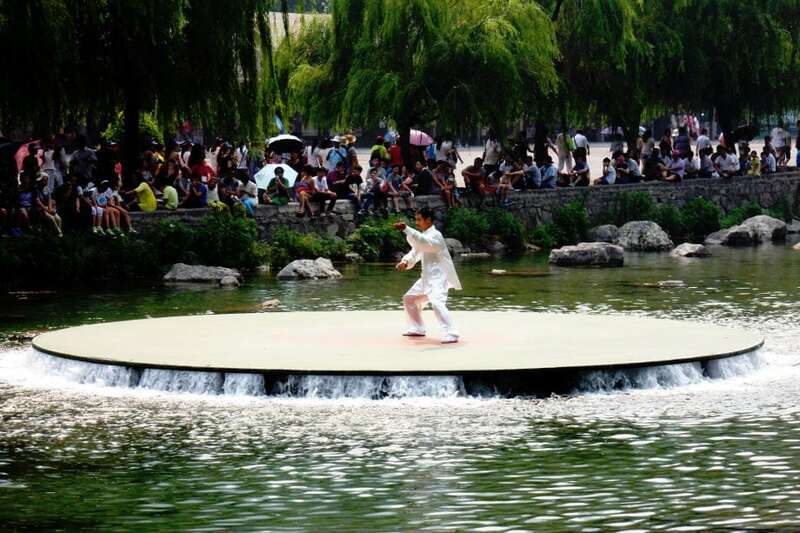 Notice that there are several day tours, mostly coming from Luoyan. 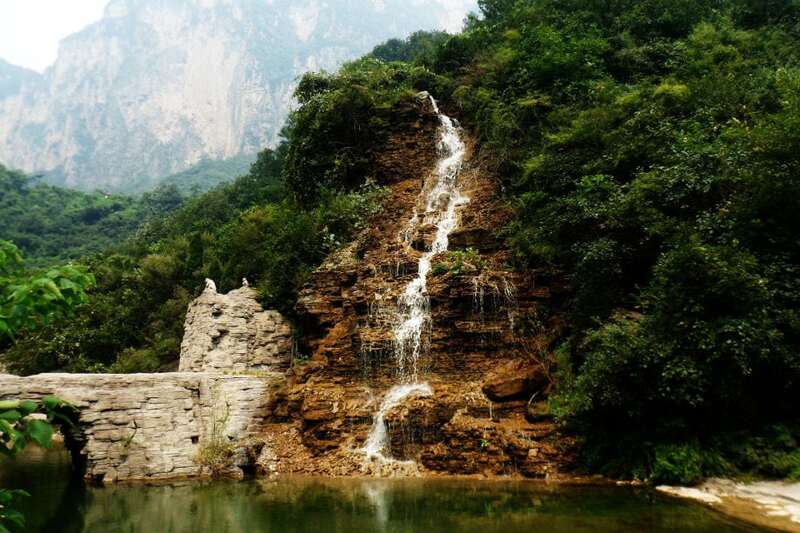 So, if you’re staying in Luoyang and you don’t want any complications, probably your hotel or hostel can help you to book a day tour to visit Yuntai Moutain. From March to December: 150 Yuan (excluding transportation). From December to March: 60 Yuan (excluding transportation). 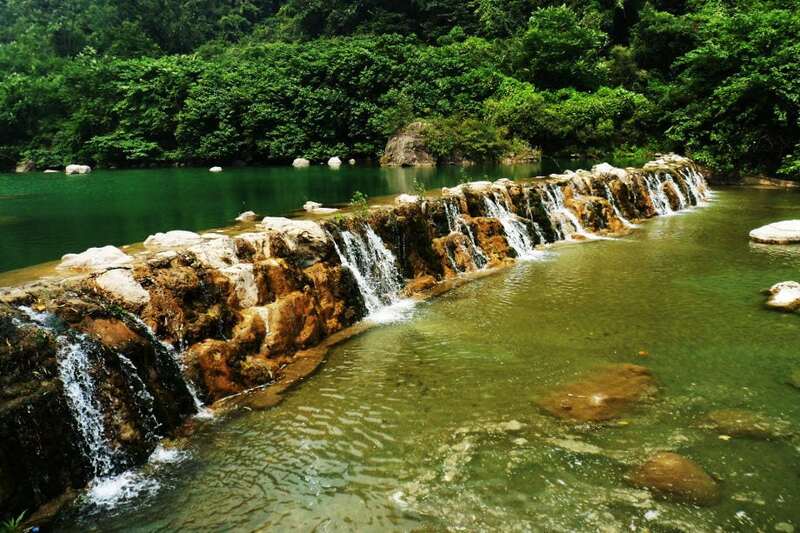 If you are thinking to avoid the 60 Yuan for the transportation, you should arrive there at 4 a.m. As it happens for Jiuzhaigou, the distances on the Yuntai Mountain are huge and taking a bus from time to time is absolutely necessary. If you also want to visit Qinglong (青龙峡) and the Peaks Gap (峰林峡) you can buy the tickets all together (add 30 Yuan for each site). I didn’t visit those places so I can’t assure the are worth the time. The ticket is valid for two days. If, as I did, you’re thinking to buy a used ticket at half price from someone else, think twice. The people that built the scenic area thought about it: beside your ticket you’ll have to show your finger print to access every spot. How clever they are! Climbing the Yuntai Mountai can be a difficult mission. No, you don’t need to be particularly fit to climb the mountain as the path has no steep slopes and is well delimited. However, you’ll need a special skill: patience. 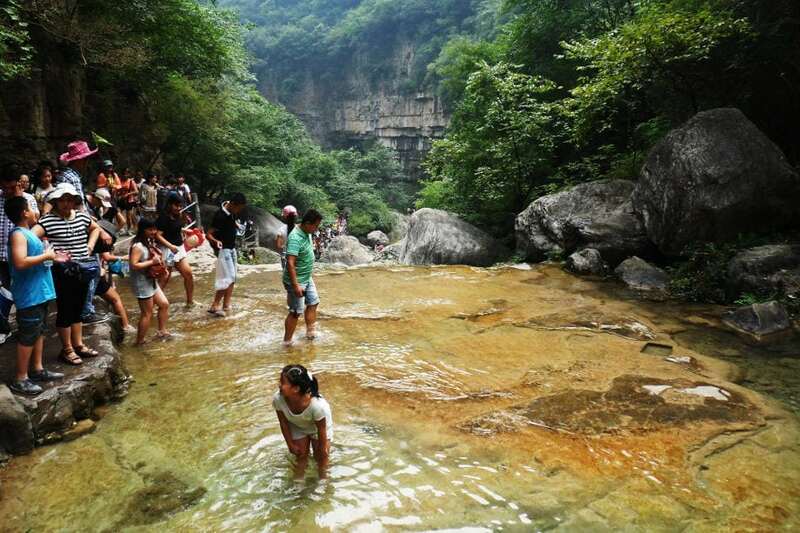 Yuntai Moutain is a quite popular destination among Chinese tourists and every day is invaded by hordes of tourist armed with their huge cameras, eager to take a photo of every stone of the mountain. 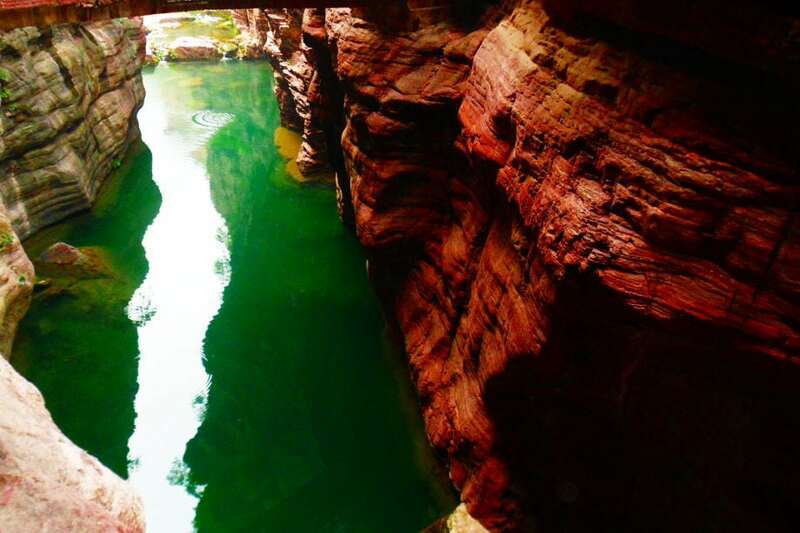 If you wish to spend a calm day surrounded by beautiful landscapes then head to Xinjiang or Yunnan Provinces. 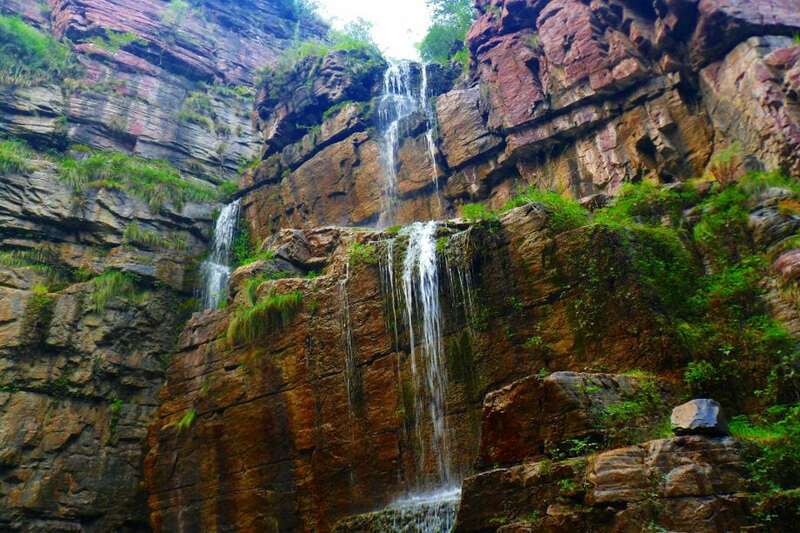 This is Henan, one of the most populated provinces of China. 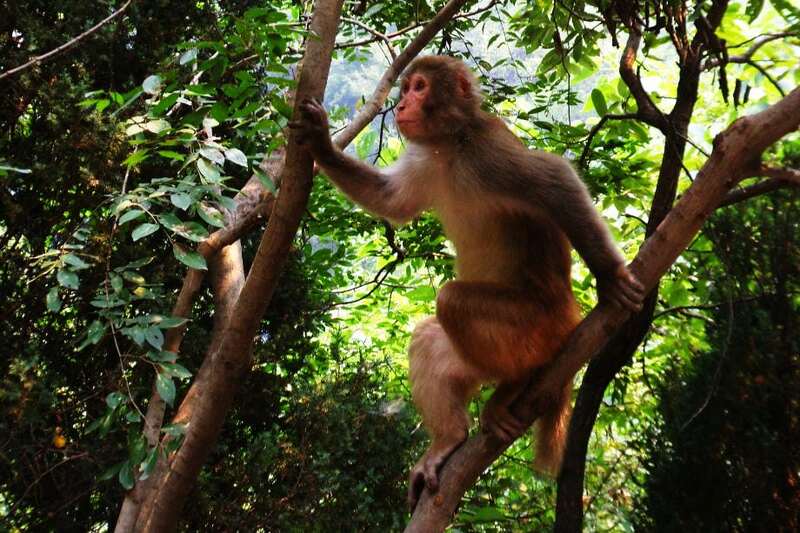 One of the most popular areas in Yuntai is the Macaque Valley, where you can spot wild monkeys coming down from the hills to get some food from the tourists. If you follow this website from awhile, you may wonder if the monkeys are invisible and the people carry defensive canes. 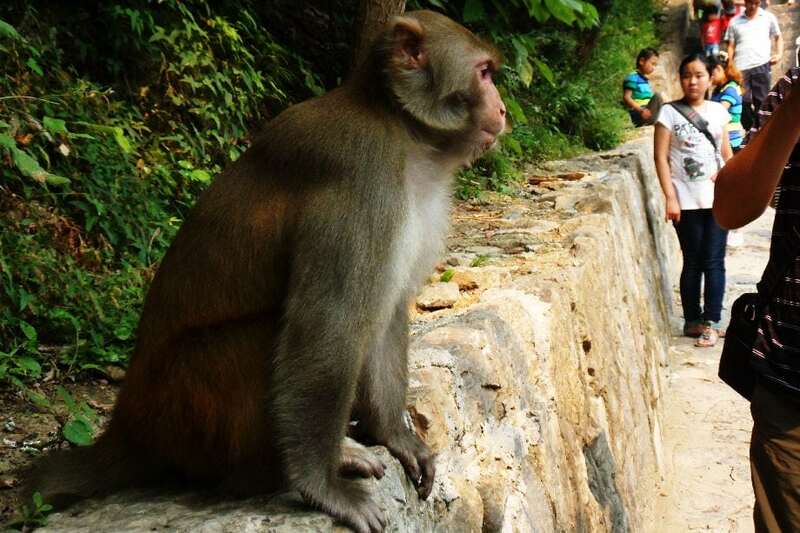 The answer is no, people don’t carry canes and the monkeys are pretty visible as you can see on the following photos. 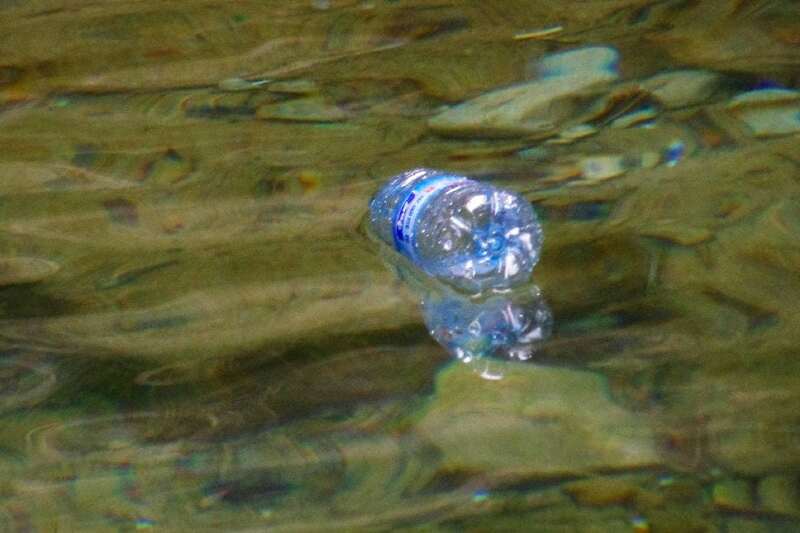 If we have water, what else we need? Boats, we need boats! A couple of weeks ago we published an article called “Why people hate Chinese tourists that travel on a group tour?“. I also wanted to write some words about this topic. Last year the newspapers showed all around the world the photos of the carving of a Chinese tourist made on the temple of Luxor, in Egypt. 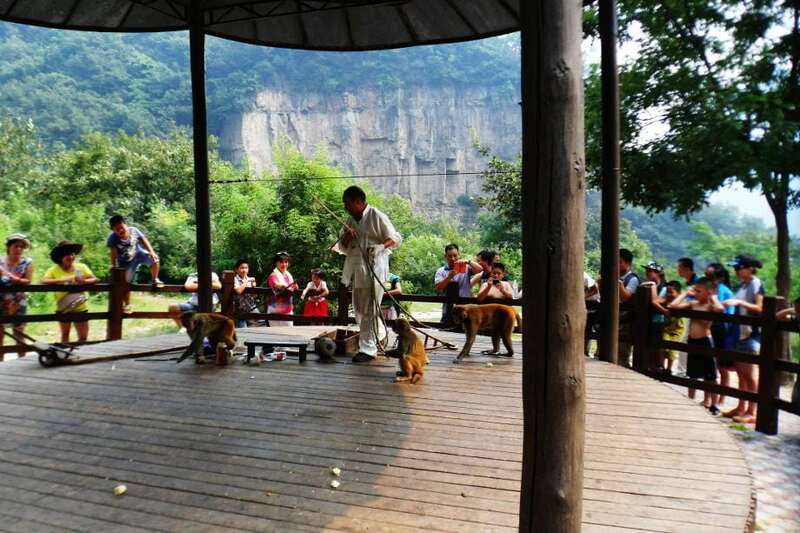 The news went viral and Chinese people took it as a national shame, but how is the average Chinese tourist? The Chinese tourists have no much travel experience (only ten years ago few people could afford to travel for pleasure) and mostly come from urban areas, where they have a team of ultra efficient cleaners behind them (you just have to compare the area of a night market, late in the night and the next morning). Also, they love to carry tones of junk food and drinks when they travel (well… always, actually). Put all this together with the fact that most of touristic places are overcrowded and you’ll obtain a pretty lame result.